You’ve heard of grilled cheese before. 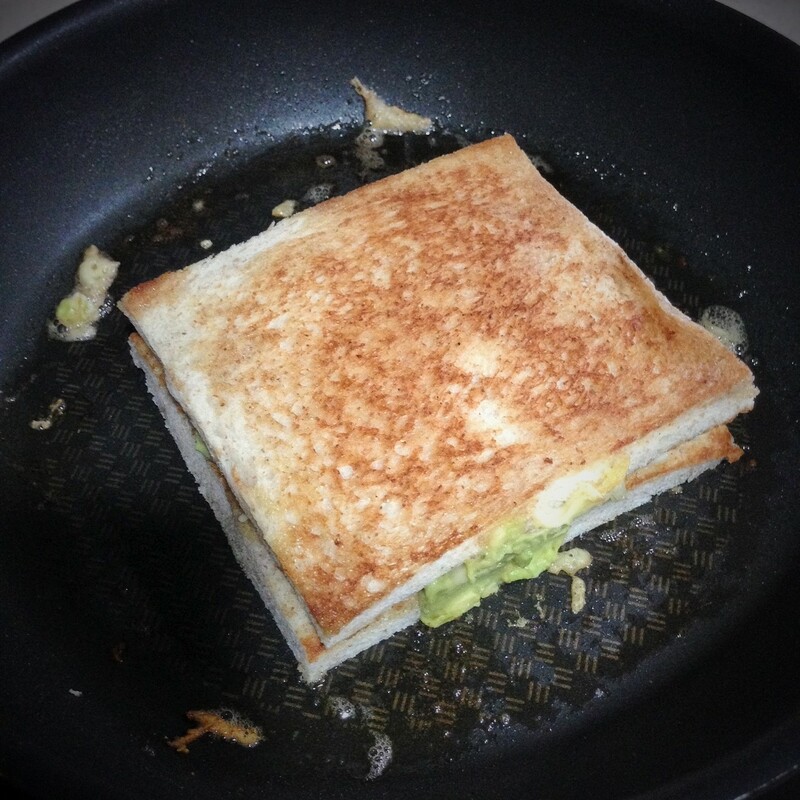 But have you ever thought of putting avocados with your grilled cheese?? I love avocados, so I’m down to put avocados on everything. It’s a great superfood, though a bit high in calories, but if you limit your intake it’s just so good for you! Besides it’s so versatile! You can mash it up to make creamy delicious guacamole, or simply cut it into cubes to put on top of salads or toast. 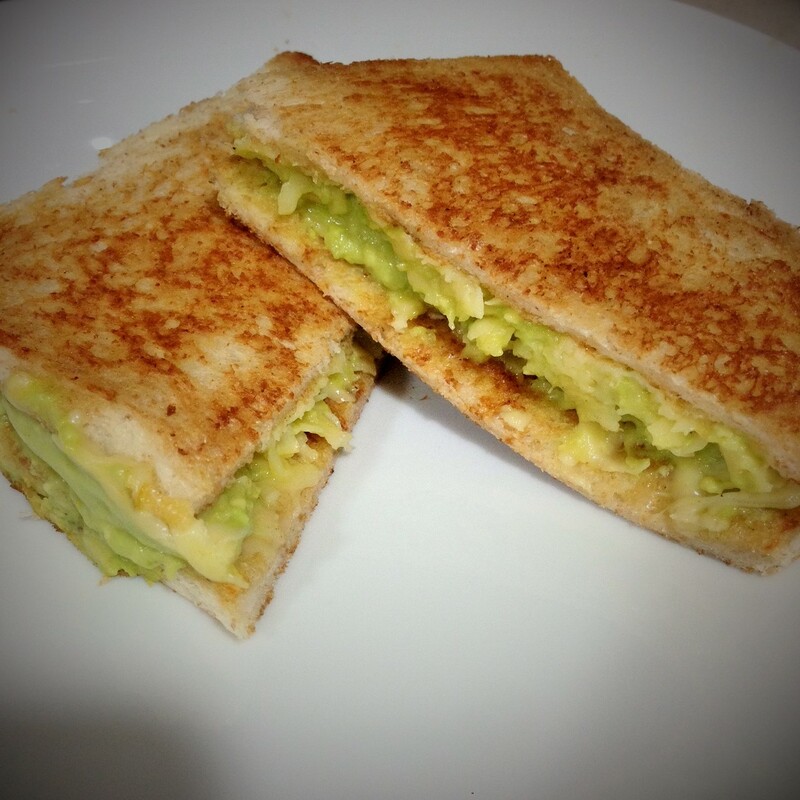 Sandwiching avocados in grilled cheese not only enhances the flavor of the cheese, but creates additional depth, flavor and texture that is guaranteed to bring your grilled cheese to a whole new level. 1) Heat pan on low heat, melt a little butter into it. 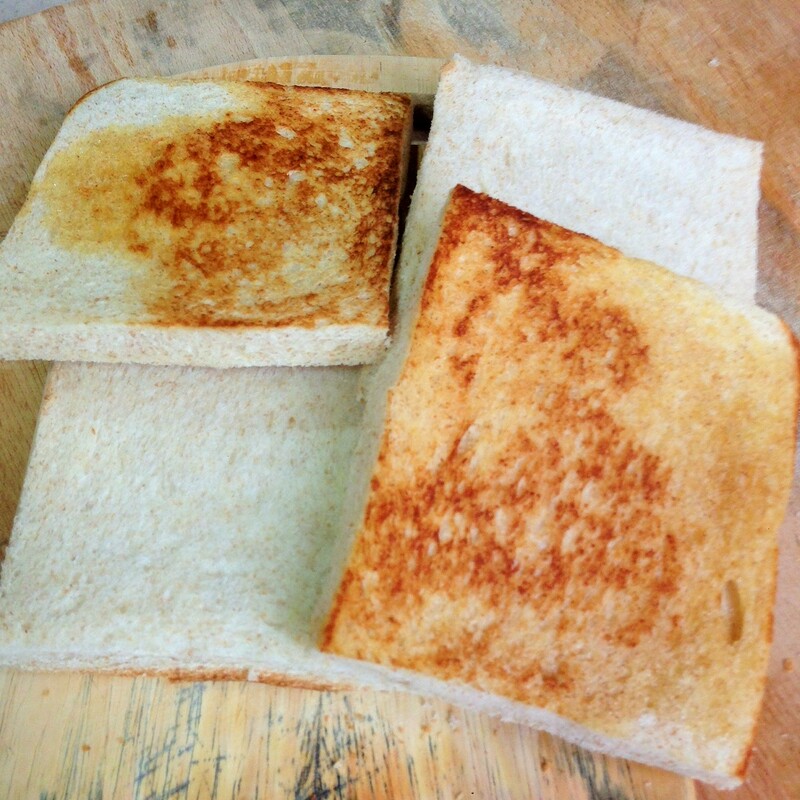 2) An additonal step we take is before we assemble the sandwich, we’ll toast the INSIDES of the bread too. That way you’ll get addtional cruch as you bite into it, but it heats the toast up on the inside too so it’ll help melt the cheese! 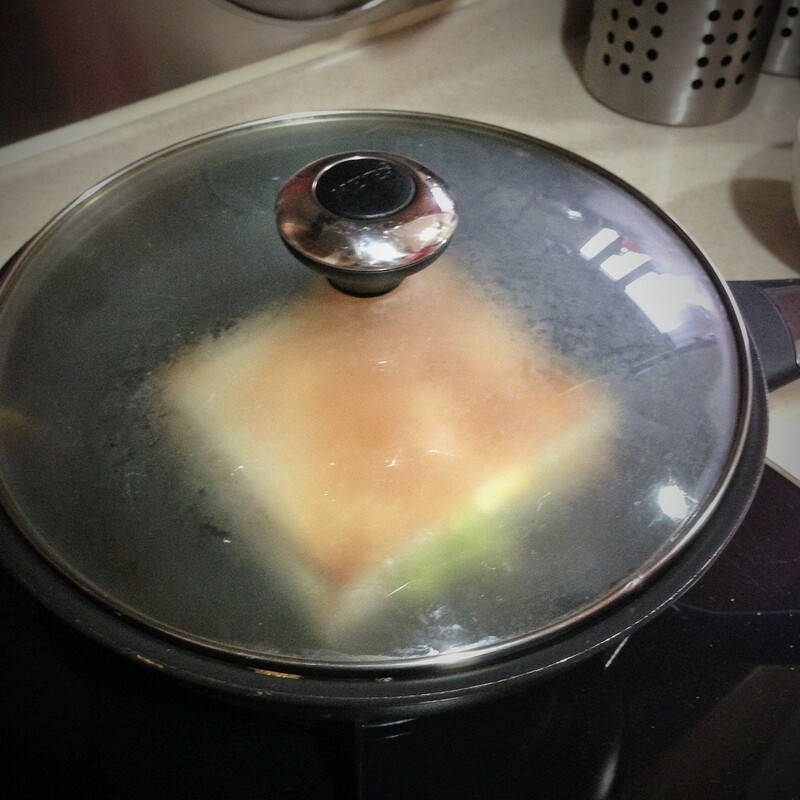 3) Once one side of the bread is golden brown, remove and add additional butter to the pan. Once melted, place the UNTOASTED side of one piece of bread down (toasted side should face up). 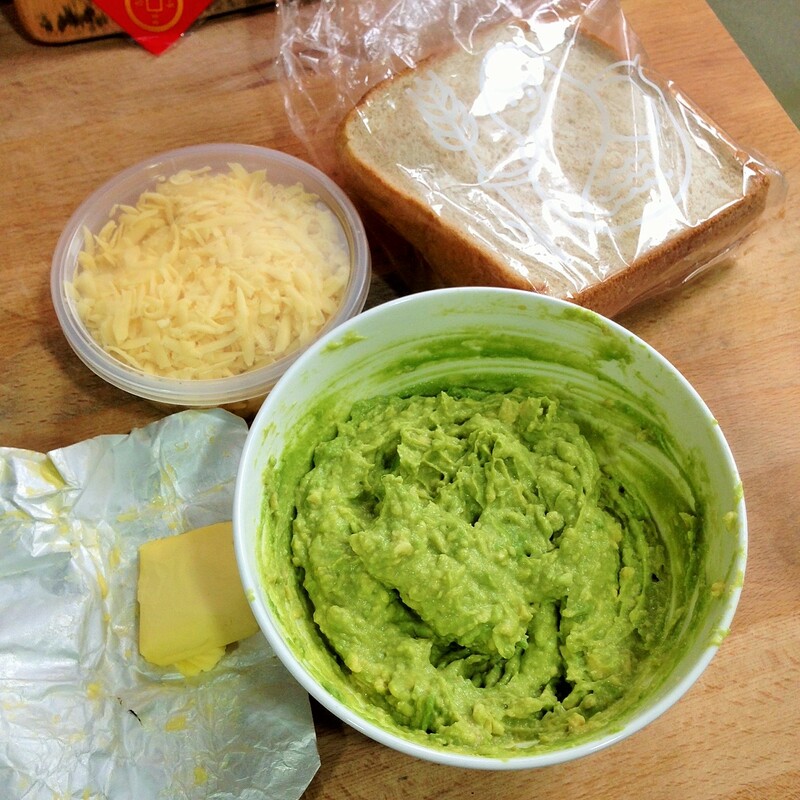 Add a handful of cheese, top with avocados then another layer of cheese. 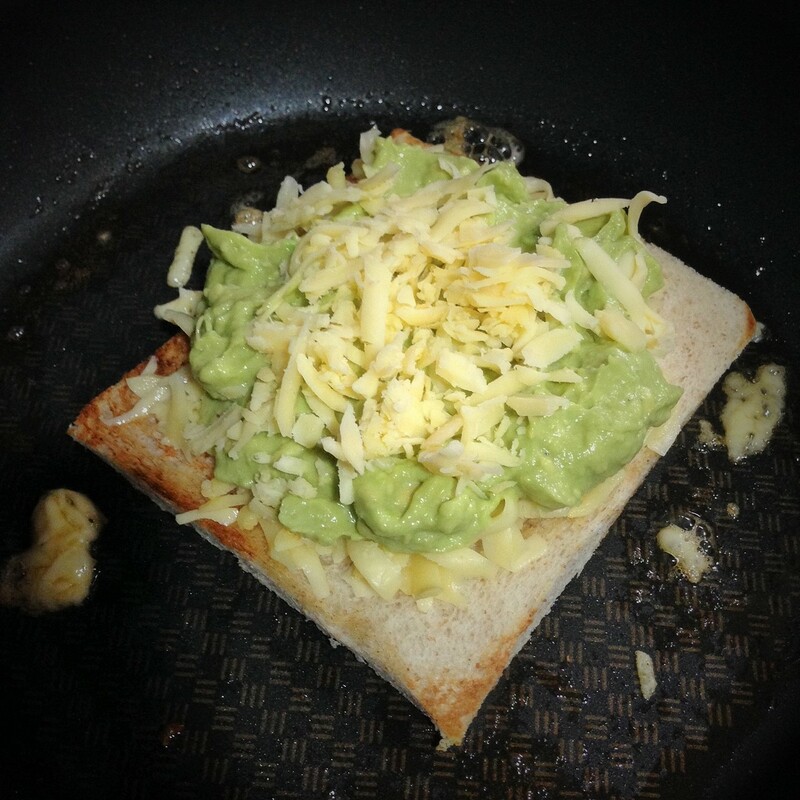 *hint – we sometimes add a bit of reduced balsamic vinegar on top to cut down the richness of both the cheese and avocados. 4) Top off with the other slice of toast, but with toasted side facing down now. Flip the sandwich once the bottom is golden brown and add a little extra butter to grill the just flipped slice of bread to toast. Cover and let grill, checking constantly to make sure the toast is not burnt. Remove from pan once ready and serve immediately while hot.